Marcia Wallace has been remembered in The Simpsons’ latest episode. 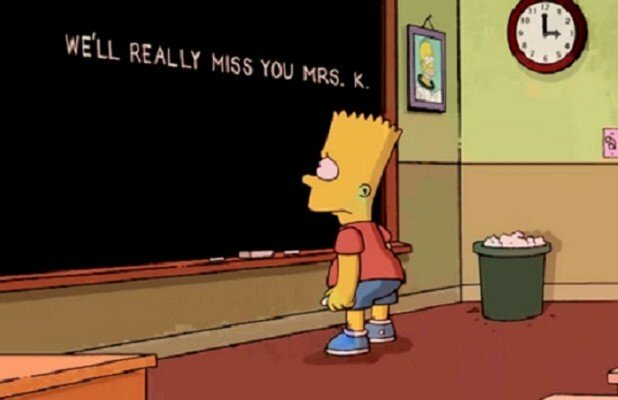 The late actress provided the voice of schoolteacher Edna Krabappel in The Simpsons. Marcia Wallace died of complications from pneumonia on October 25 at her home in Los Angeles at the age of 70. The actress won an Emmy in 1992 for her work on The Simpsons. Sunday’s edition of The Simpsons was preceded on the Fox channel by a re-run of 2011 episode The Ned-liest Catch. Marcia Wallace appeared in 178 episodes in all, voicing grumpy fourth-grade teacher Edna in all but three of them. Her death was confirmed on October 26 by The Simpsons‘ executive producer Al Jean, who said Marcia Wallace had been “brilliant and gracious”.